What is the Best Type of Short Sale Offer? Question: What is the Best Short Sale Offer? A reader asks: "The market in my town is really crazy right now, and it's very hard to buy a home because there are not very many homes for sale. Every time something new comes up for sale, a bunch of buyers jump on it. I hear from my neighbor that he is putting his home on the market as a short sale in the next week. We'd like to be the first buyers to make an offer. This neighbor says his agent will choose the buyer. What? How can we make sure we are the buyers who get chosen? What do we need to do to write the best short sale offer?" Answer: There are many layers to your question, apart from how to write the best short sale offer. For starters, the perception of offer strength can vary from agent to agent. The most you can hope for is that your neighbor hires an experienced short sale agent. If the agent has no short sale experience, the short sale might be approved. 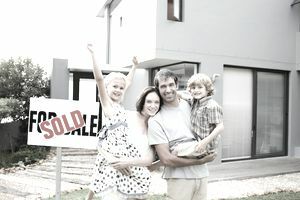 Second on your list should be to hire your own short sale buyer's agent. Sometimes buyers make the mistake of thinking they should let the listing agent represent them, but dual agency is dual agency, whether it is a short sale or regular sale. My professional opinion is you should avoid dual agency, avoid conflict of interest and hire an agent who will represent only you. Not only that, but many banks don't pay double commissions for dual agency. Last, the listing agent is not really responsible for choosing the buyer. Selecting the buyer is one of the few joys a seller has in a short sale. It's what motivates some sellers to do the short sale instead of walking away, knowing that they can pick the buyers for their home. Of course, the listing agent has input and can help the seller to choose, but ultimately it is the seller's decision because it is the seller's home. Which is the Best Short Sale Offer? Is an Offer Over List Price the Best Short Sale Offer? No offer is a good offer unless the buyer will stick around and wait for short sale approval. In most cases, it really doesn't matter if the offer exceeds list price, either. After all, none of the proceeds of sale will be going into the seller's pocket. All of the proceeds, with a few exceptions, will go the short sale bank(s). So the seller has little incentive to select the highest priced offer, unless it's for tax purposes. Sometimes buyers who write the highest offer have little intention of waiting for short sale approval but simply want to "tie down" the property. These types of buyers are rarely committed to one transaction but instead prefer to "play the field." They might cancel on you when you get short sale approval because they found a better home to buy. Offers exceeding market value will probably result in a low appraisal. Low appraisals can cause short sales to cancel, especially if the buyer does not have the funds to bridge the gap between offer price and appraised value. If the over-market buyer fails to close, the next offer will probably not be as high, which could result in rejection by the bank. The bank's expectation can be set too high and impossible to meet with a second buyer who offers a reasonable price. Are Cash Offers the Best Short Sale Offer? The main problem with cash offers is often the cash buyer herself. Cash buyers might think they walk on water and rule the universe. They might be of the opinion it's their way or the highway, which means they might not bend nor be flexible if and when the situation warrants. On the other hand, there is no appraisal required with a cash short sale offer. No appraisal means no funding conditions and no disagreement over price after the short sale is approved. But it doesn't guarantee that the short sale cash buyer might not make unreasonable demands. Most short sales are sold in "as is" condition. If upon further inspection the buyer discovers repairs are necessary, the buyer might refuse to close unless those repair requests are honored. Which won't happen. Banks rarely pay for repairs for a short sale. At the time of writing, Elizabeth Weintraub, CalBRE # 00697006, is a Broker-Associate at Lyon Real Estate in Sacramento, California.